Her prophetic words provide a hopeful framework for reimagining America into the next decade. Her vision of a country experiencing a new dawn stands in stark contrast to the dangerously numbing narrative that is taking hold today: one of a deeply divided America. “Redder. Bluer. Trumpier. America Is About to Be Even More Divided,” screamed a national news headline days after the 2018 election. This divided America is a place where our political parties find no consensus on our most pressing public issues and we easily “unfriend” each other because of opposing world views. 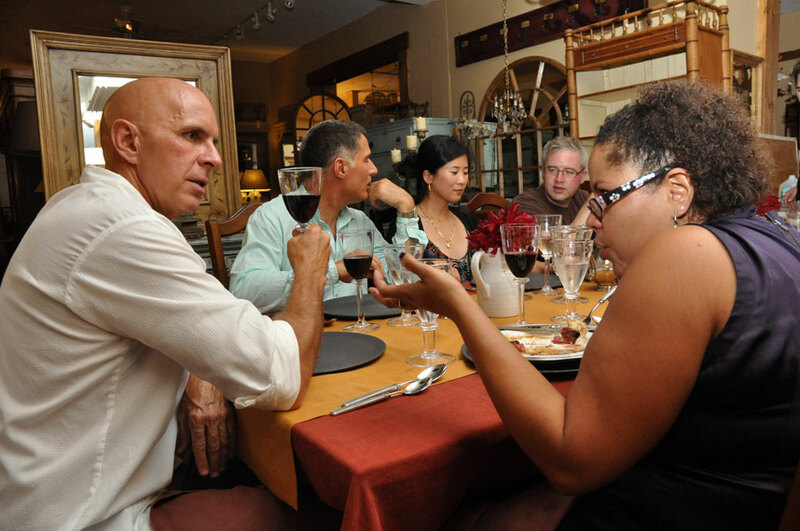 We are becoming an America that fears dinner parties and Thanksgiving festivities because we might be forced to share the table with people who see the world differently than we do. This divided America story, if allowed to take root and further animate our political and civic life, will indeed became our tragic, new normal. We don’t have to concede this future. We could instead contemplate how this is not a moment of division, but a natural evolution of an increasingly diverse America. This could be embraced as a critical nation-building moment. A moment that requires us to reimagine and create a new narrative around what it means to be American. The new narrative will recognize that not everyone begins life with the same opportunities. It will reflect the hopes, dreams, and realities of people of color living in inner cities, white people in rural and suburban communities, and newly arriving immigrants—to name a few. It is a story in which everyone can see themselves. A new American narrative is not a policy or political statement, but a return to basic principles of the golden rule and semper fidelis—it’s a commitment to one another that we will make the sacrifices necessary to look after each other. It’s a promise that we will listen, learn, and show up for each other—even when it’s hard. Embracing this narrative, of course, is no replacement for the day-to-day work necessary to heal the cultural wounds and anxieties that are plaguing American life. Instead of sowing division, this new American story will help us organize ourselves around common goals of rebuilding American communities, ensuring everyone lives up to their potential, and restoring American goodness. It will advance civility and cultivate neighborliness. However, before we write the first draft, we will have to “refriend” those we disagree with and elevate a desire for mutual understanding over personal vindication. It will require a new openness and for us  to sometimes feel uncomfortable as we listen to someone else’s view. To seek not to agree with it, but to learn more about it and perhaps even understand it—and ask others to do the same. Listening is a critical ingredient in writing the new American story. Luckily, inspiration is abundant across America. In communities around the country, we see workers clocking overtime and parents caring for their families, and yet still finding time to undertake the critical work of nation building. I’ve met the folks redeveloping communities in Akron, Ohio, building a new public library in Crete, Nebraska and welcoming new immigrants and refugees in small towns across America. In these communities—and in so many others—lie the seeds of our new story. However, once our new story is born we will have to defend it by rejecting the de facto political strategy of division—no matter which party it comes from—and instead reward those who build on it with us. It’s up to us. Will we default to the hopeless story about division or will we work to write the one about the revival of American unity? A new and enduring story of America as a nation of neighbors who take care of one another.